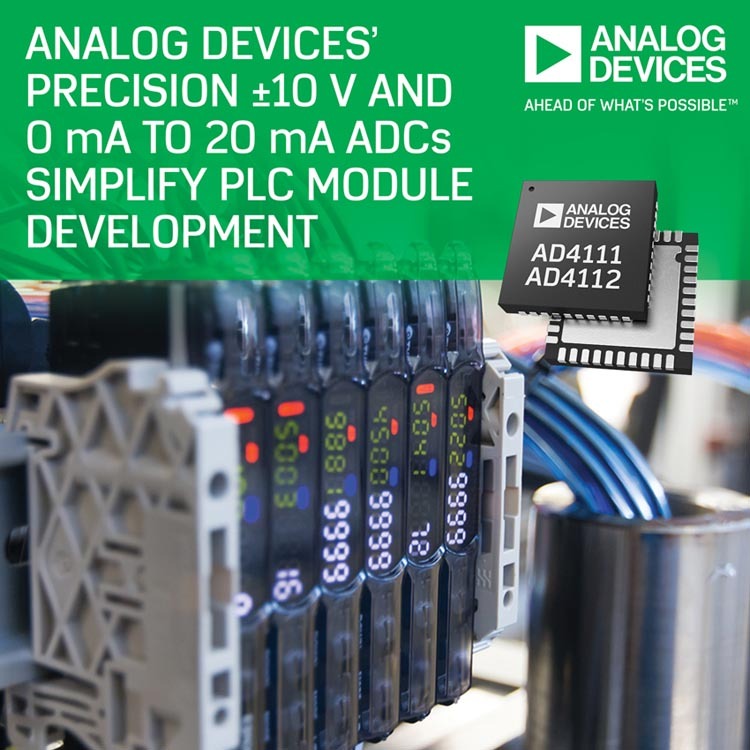 Analog Devices (ADI) introduced two multi-channel ±10 V and 0-20 mA precision A/D converters that better enable implementation of programmable logic controller (PLC) and distributed control system (DCS) modules. Leveraging ADI’s iPassives® integrated precision passives technology, the AD4111 and AD4112 A/D converters integrate precision matched current sense resistors and resistor dividers. The high degree of channel-to-channel matching simplifies calibration requirements, and with support for up to eight single-ended voltage inputs and four current inputs, makes the new products ideal for use as reconfigurable platform solutions, while reducing size, complexity and cost in PLC and DCS modules. The AD4111 and the AD4112 A/D converters can accept ±10 V while meeting performance specifications and has a functional range of ±20 V, adding over-range margin to the nominal ±10 V. They can also accept currents of –0.5 to 24 mA while meeting performance specifications. This allows reliable measurements close to 0 mA and provides over range margin past 20 mA. The devices offer an Absolute Maximum Rating of ±50 V on voltage pins and ±50 mA on current pins. 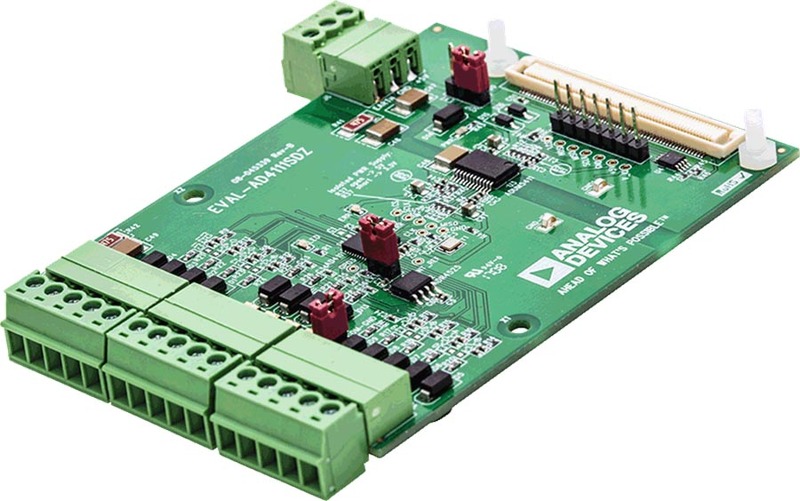 The AD4111 uniquely enables open wire detection, to detect when an external sensor or signal source is disconnected from the system input, on ±10 V voltage inputs while operated from either a +5 V or +3.3 V single power supply. When used in conjunction with the ADuM5411 quad-channel digital isolator, the AD4111 supports EMC standards IEC 61000-4-2, IEC 61000-4-3, IEC 61000-4-4, IEC 61000-4-5, IEC 61000-4-6 and CISPR 11.